Upstream from today's symptoms, we find hope as followers of Jesus engage in a "Rhythm" of Unified Prevailing Prayer! Join Jesus followers in America believing God for a "Christ-Awakening" and increased care for children as "gifts from the Lord" as the gospel addresses abortion, adoption, foster care, and child well-being. This devotional resource will lead you in prayers to God as we cry out to him to for a new Christ awakening in our nation! A chance to re-energize your relationship…Reboot Marriage offers 10 different opportunities to experience meaningful connection and renewed intimacy between you and your spouse. Try out the 1-year subscription too! 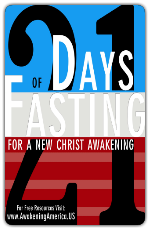 Join Jesus’ followers believing God for a Christ-Awakening, praying for bold witness and increased conversions. Begin praying for friends and family, neighbors and co-workers who need Jesus. Join Jesus followers who are believing God in prayer for a “Christ Awakening” through imparting faith to children and youth as parents are equipped by the church to become primary disciplers of their children. Pray for mothers and families who need Jesus. Click Here to download the Reboot Spiritual Life Resource. Begin to pray for your children using this free Mom Prayers Resource from MomLifeToday.com. 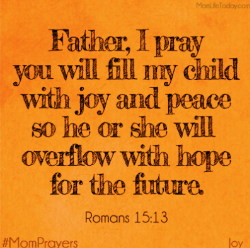 Click Here to access the Mom Prayers Resource. Join Jesus followers who are believing God in prayer for a “Christ Awakening.” Pray that parents are better equipped by the church to become the primary disciplers of their children and youth. Pray for fathers and families who need Jesus. 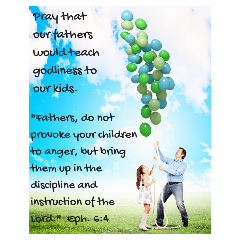 Join other Courageous Dads who are lifting up their Children in prayer. 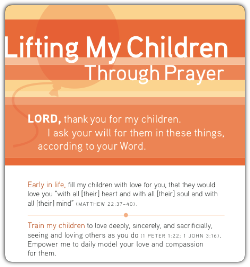 Click Here to download the Prayer Card for Children. Click Here to order more prayer cards from Family Life Ministry. Men, join other Courageous Husbands who are lifting up their wives in prayer. 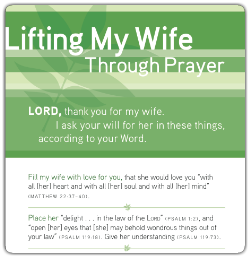 Click Here to download the Prayer Card for Wives. Click Here to access Prayer Tags you can use to share on social media to encourage others to pray for Dads! Cry Out America is a prayer initiative of the Awakening America Alliance. It is a united effort seeking deep transformation and a "Christ Awakening" in our nation. Join others as we pray for our country's freedom. Click Here to find out how you can get involved on September 11th. Join Jesus' followers who are believing God for a Christ-Awakening. Pray for pastors and church leaders to experience joy-filled ministry and healthy. loving relationships at home. Pass along this app as a gift to your pastor! Click Here to download the Reboot Spiritual Life App. Find the 2 Agree for Healthy Ministers section of the app and encounter God's deep desire for you to experience His abundance in life and in ministry. Join Jesus' followers who are believing God for a Christ-Awakening. Pray for commitment to radical generosity as evidenced by compassion ministries, global missions, and amplified participation in corporate as well as individual prayer, fasting, and other spiritual disciplines leading to more effective discipleship. ​ Click Here to download the Reboot Spiritual Life App. Find the 2 Agree for Compassion section of the app and encounter God's deep desire for you to experience a deeper compassion and generosity towards others.